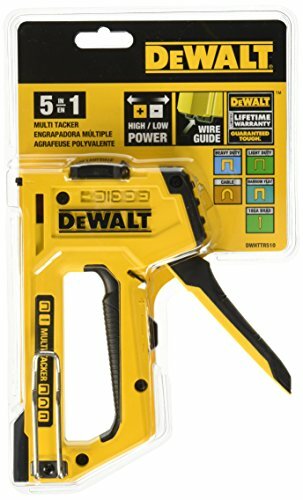 For this post, I have put together a collection of the best staple guns currently available. 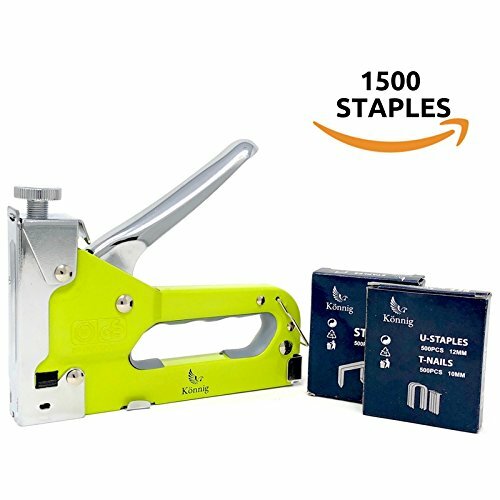 The following staple guns use the latest innovative components to meet your needs and help to ensure you do your best work. 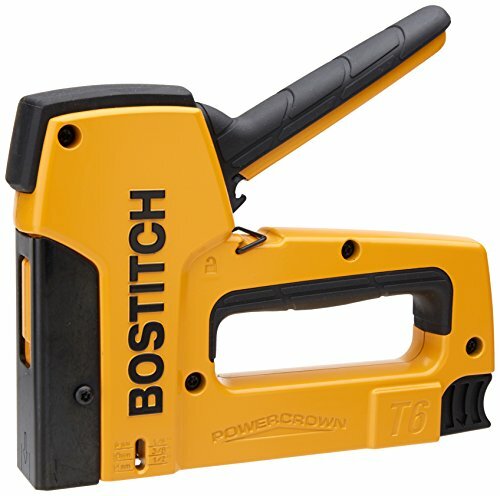 So here is my list of The 10 Best Staple Guns. 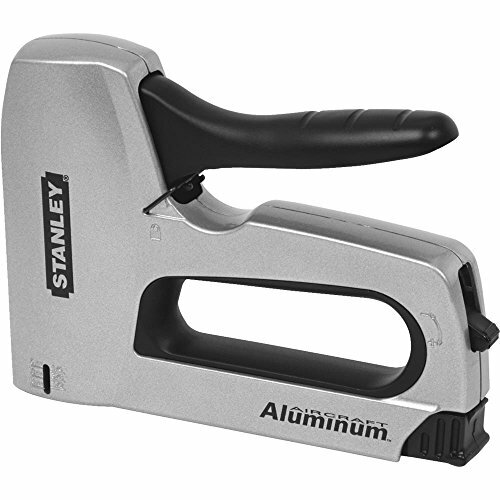 High durability, all steel staple gun to meet the high demands of professional users. Suitable for securing ceiling tiles, insulation materials, plastic sheeting, carpet etc. Comes with a 5 year guarantee and is compatible with Rapid No. 140 flat wire staples 6-14mm. New easy to squeeze force adjustment system lets professionals decide for themselves how much power to deploy on each job. Save up to 40% of effort on easy jobs but turn up the power with a simple flip of the switch when required. A patented 3-step force adjuster puts the power back in the hands of the professionals. 8 Heavy Duty PowerCrown Tacker Breathable AntiJam magazine. Steel handle with over molded rubber grip for comfort. Convenient bottom loading for quick and easy reloading. Nickel chrome plated steel magazine and core provides smoother, more durable sliding surface for staples. Compact design with no loose parts. Easy drop-in loading with reload indicator. Elegant soft rubber grip for extra working comfort. Fires standard, U-shaped and brad staples. Heavy duty, all-steel construction for strength and durability. Ergonomic handle for comfort & reduced fatigue. Unique staple loading & clearing mechanism for fast & convenient use. Handle safety locking system prevents accidental operation. Always wear the correct protective gear when working with hand tools. 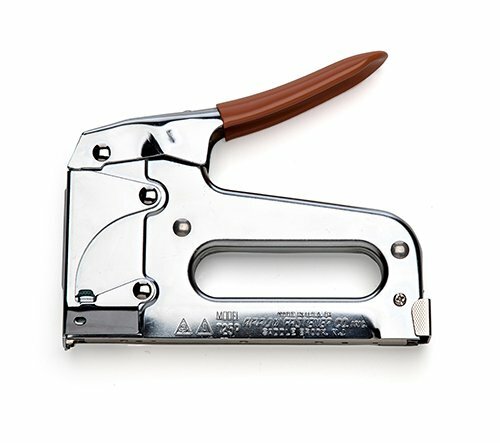 Arrow Fastener's iconic model T50 is America's best-selling staple gun. Features an all chromed steel housing, jam-resistant mechanism. Powerful coil spring, staple viewing window. Steel working parts hardened in a 1,500 degree furnace. Uniquely American blend of functionality, dependability, and sheer ruggedness. 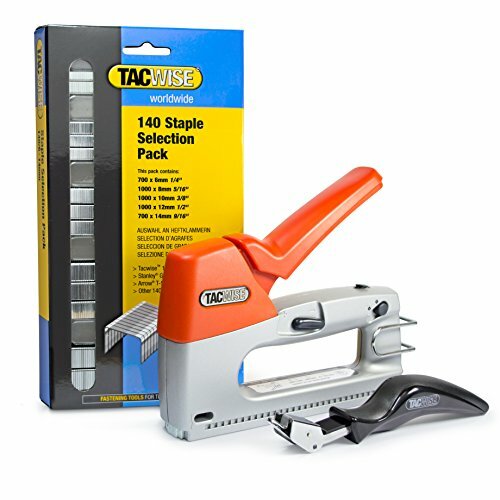 Designed for use with 6 sizes of T50 staples: 1/4-inch to 9/16-inch. All-metal drive channel ensures better penetration. Hi/Lo power lever for hard and soft materials. 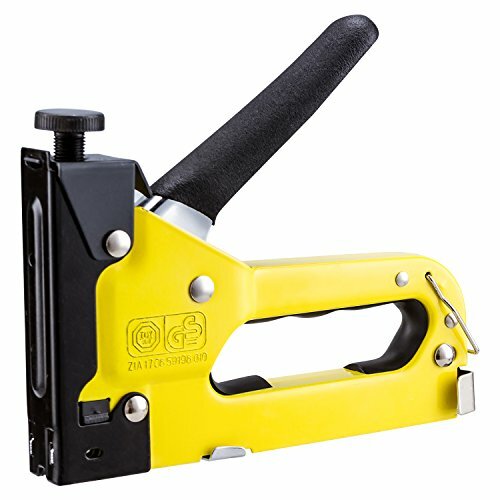 Flush-nose design solves the problem of stapling in tight spots. Lock-down handle for safe storage. 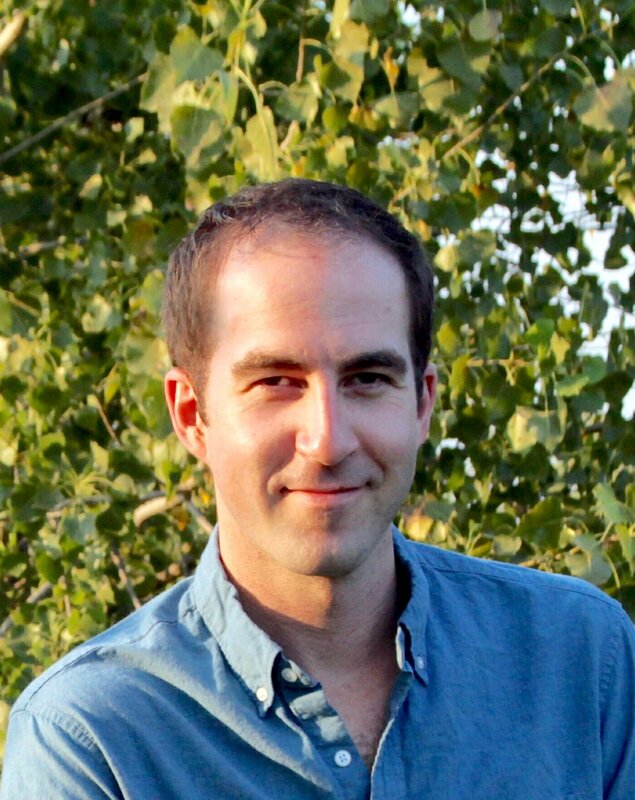 Quick-view window simplifies staple identification. Easy-slide full-stick staple load. 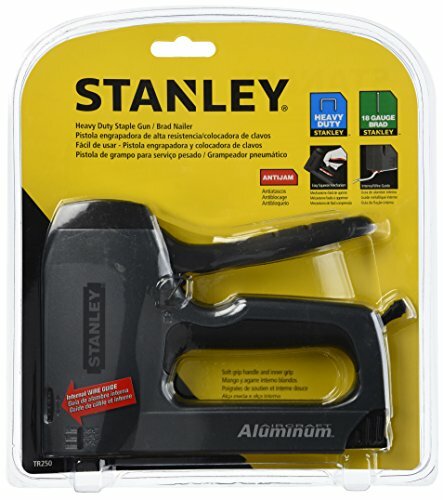 Uses Stanley SharpShooter TRA700 series or Arrow T-50 heavy duty narrow crown staples and 1/2-Inch, 9/16-Inch and 5/8-Inch Brads. This versatile, durable tool can drive five types of fasteners, giving you the ability to take on a range of jobs. You'll get increased flexibility from the high/low power switch, for use with a number of applications. Use the integrated wire guide to fasten wires and cables. The Z3-140 is designed with the professional in mind. Ability to use three types of fastening. Will fire 140 staples, 180 nails and 180 headless pins. Can cover a varied range of applications from securing breather membrane to installing loft insulation. 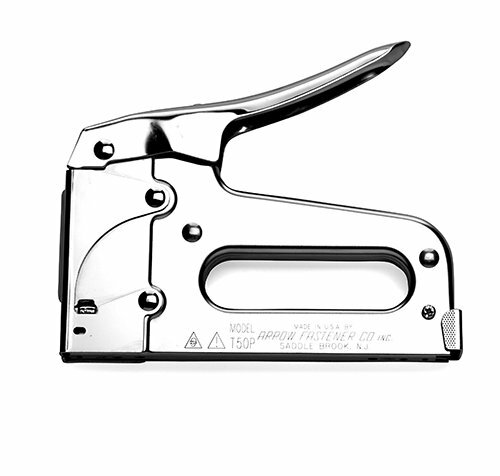 The Arrow Fastener T25 low-voltage wire staple gun features an all chromed steel housing. Powerful coil spring, cushioned grip. Grooved wire guide to protect wires against damage. Curved blade for consistent stapling performance. Perfect for all low voltage wire applications. Designed for use with T25 staples size 3/8-inch, 7/16-inch, and 9/16-inch. Adjust pressure to suit the thickness of the material you are working with. 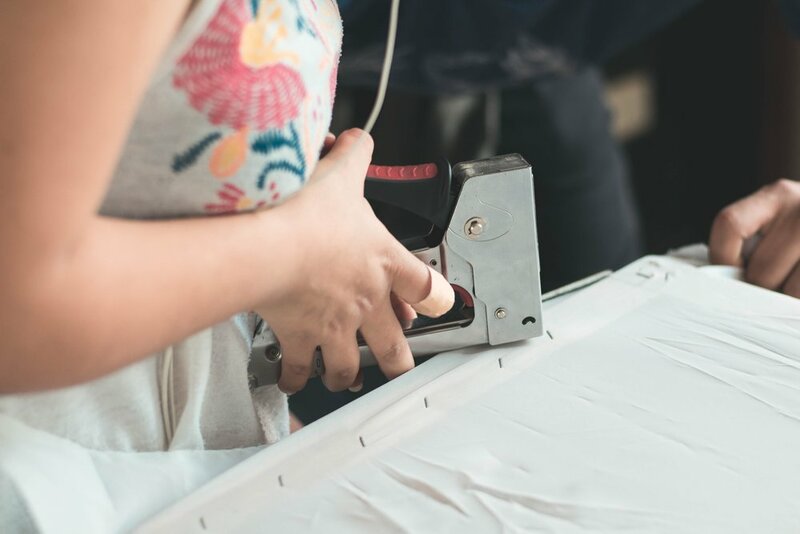 Low settings can be used for more delicate projects and turn up the power for those tasks involving anything from plastic to plywood. Get started in no time with an easy load mechanism. Lightweight, with convenient handle lock for safe storage. Quick-jam clear mechanism saves time and hassle. Durable aircraft-aluminum housing withstands heavy use. Use with: Arrow T-50 Staples, TRA 700 Series. Staple Height: 1/4 in, 5/16 in, 3/8 in, 1/2 in, 9/16 in. 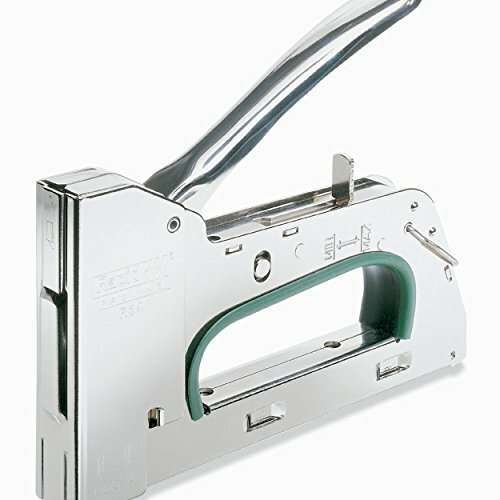 I hope this list of the best staple guns was helpful.